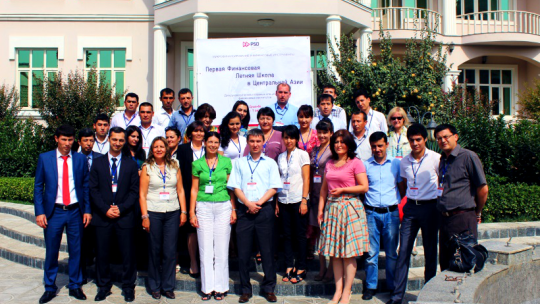 Last September, was held the 7th National Conference on Microfinance in Tajikistan. This important event for Central Asian countries took place at the Strategic Center of Studies in Tajikistan, under the patronage of Emomalii Rahmon the President of the Republic of Tajikistan. In this frame, the main topic was to address the following subject "The access to microfinance: role of investment and innovation". 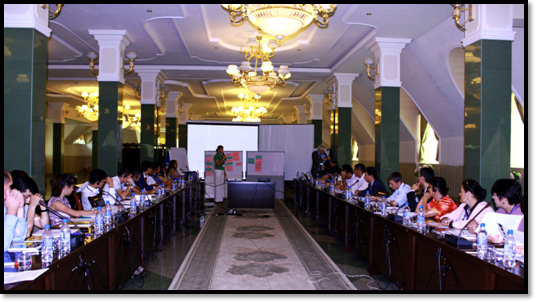 During this conference different exhibitions concerning products and services regarding microfinance organizations were presented to the audience. Among all these demonstrations, HUMO, one of the most influent Microfinance Institutions in the region, chose to highlight the products of 3 of its microentrepreneurs clients : a microentrepreneur located in Rudaki specialized in confectionery making, the second one was a microentrepreneur from Vakhdat who proposed numerous handmade baskets, and an Istaravshan habitant specialized in the making of knives and daggers. During his speech, Alimardonov Murodali – the Deputy of Prime Minister of Tajikistan mentioned that: “Microfinance organizations need to move to a new level of service and deepen in the sector of small business”. He also thanked lenders and MFIs for their active participation in improving the population’s living conditions in Tajikistan. Moreover, Lalbekov Izatullo – the Bank Association’s chairman assessed the work of MFIs in Tajikistan with a particular regard to compliance with the National Bank‘s requirements. And fortunately HUMO had the surprise to be named as one of the best MFIs in the country. Furthermore, it seems that the audience became familiar with numerous topics such as innovative microfinance strategies designed to attract new investments. You want to lend and help microentrepreneurs to materialize their projects on MicroWorld.org? Click here!